Hi guys! 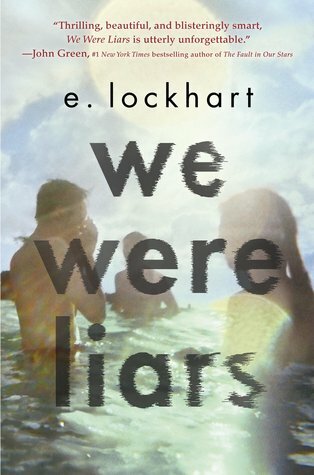 Welcome to the 1st discussion for our July Read Along: We Were Liars by E. Lockhart! Huge thank you to everyone who joined us and read chapters 1-43 on time to meet up with us and discuss them together! 1) Do you like Cady's allusions to fairy tales? At this point, do they add to the story or are you more confused by them? 2) What are some of your theories about what happened to Cady? Remember: No spoilers if you read ahead! If you read ahead and can't think of anything (or don't remember your initial guess) feel free to skip this question. I'll delete any comment of anyone who does otherwise. 3) What do you think about the relationship between these four friends / cousins? Do you have a favorite Liar? 4) Are you a fan of E. Lockhart's writing style or is it bothering you? 5) The Sinclairs own their own island and have named all the houses on it: Clairmont, Windmere, Red Gate, and Cuddledown. Would you ever name your home and what would you name it? 6) What do you think about Cady's descriptions of her friends. For example: “She is sugar, curiosity, and rain.” If you were to describe yourself in a similar way, what would you say? 7) What do you think about Cady's narration? Do you trust her? Or do you think she's lying/hallucinating? However, please only reference things that happen in chapters 1-43. You may make guesses or speculations as to what happens in the second half (or, if you've already read ahead, what you thought would happen when you finished these chapters), but do not spoil it for those who may have not yet finished the book. I like a twist of meaning. You see? Suffer migraines. Do not suffer fool. The word means almost the same as it did in the previous sentence, but not quite. I knew the kind of answer Granddad wanted me to give. It was a request he made quite often. He loved retelling key moments in the Sinclair family history, enlarging their importance. He was always asking what something meant to you, and you were supposed to come back with details. Images. Maybe a lesson learned. I found Gat on the perimeter path and ran to where he stood, looking out at the water. The wind was coming hard and my hair flew in my eyes. When i kissed him, his lips were salty. In Europe, I vomited into small buckets and brushed my teeth repeatedly with chalky British toothpaste. I lay prone on the bathroom floors of several museums, feeling the cold tile underneath my cheek as my brain liquefied and seeped out of my ear, bubbling. Migraines left my blood spreading across unfamiliar hotel sheets, dripping on the floor, oozing into carpets, soaking through leftover croissants and Italian lace cookies. Look at the aunties now, summer seventeen. Here in teh Japanese garden of New Clairmont, Mummy has her arm around Bess, who reaches out to slice Carrie a piece of raspberry tart. It's a beautiful night, and we are indeed a beautiful family. The second discussion post for the second half will be posted on September 30, followed by the vote for November's read along! Also, don't forget that everyone who takes part in our September TBR Pile Read Along is going to get 5 extra entries into our giveaway for the TBR Pile Reading Challenge! 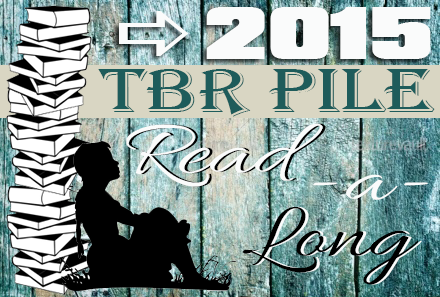 And remember, it's never to late to sign up for 2015 TBR Pile Reading Challenge! 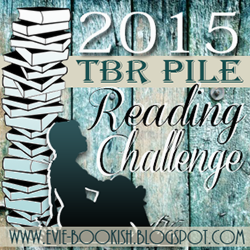 Head on over to our 2015 TBR Pile Reading Challenge Update post to sign up if you haven't already. And if you haven't yet, stop by Jessica's wrap-up post for July and August to link up your reviews from your own TBR Pile reviews and win a book of your choice!